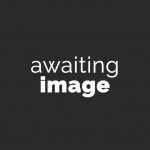 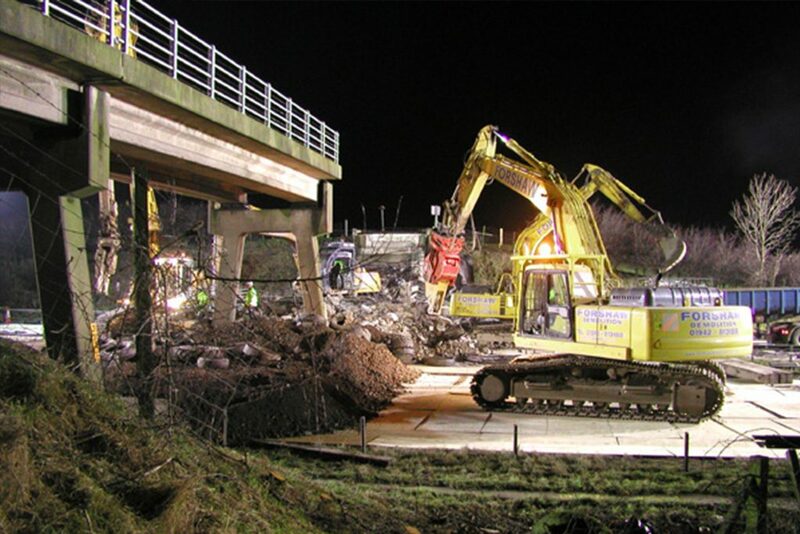 Scope: The demolition of 2 motorway bridges over 2 x 12 hour weekend possessions of the M6 motorway, removing foundations and re-opening motorway. 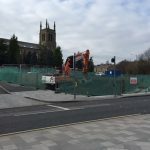 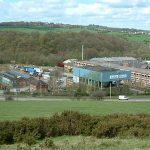 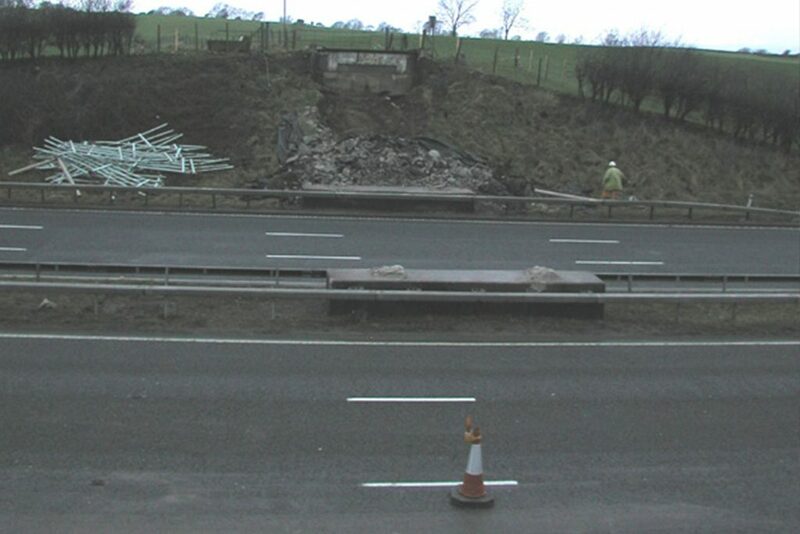 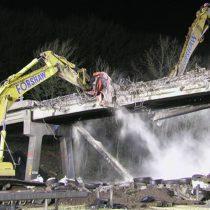 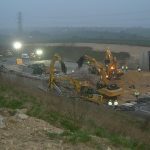 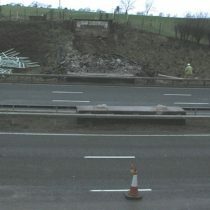 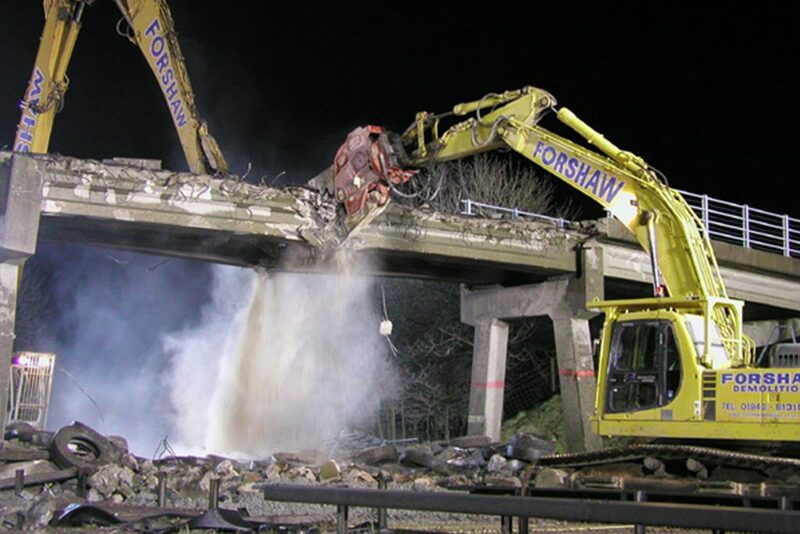 The demolition of two bridge which carried motor vehicles over the M6 between Lancaster and Carnforth proved to be very demanding projects. 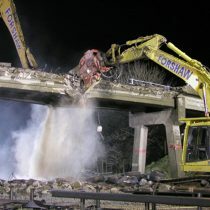 The bridges were to be demolished because of concrete decay and were to be replaced with two new ones. 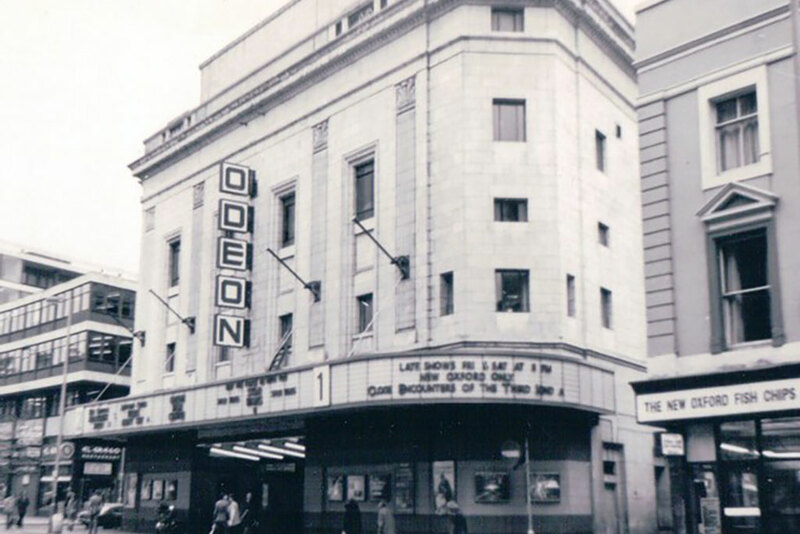 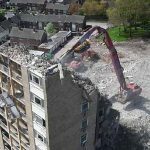 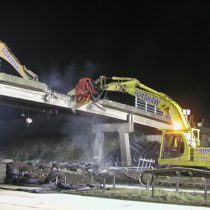 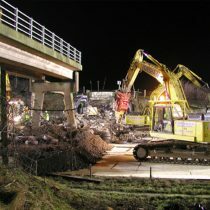 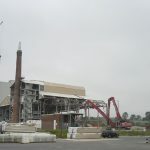 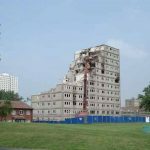 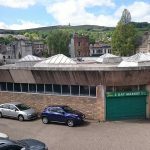 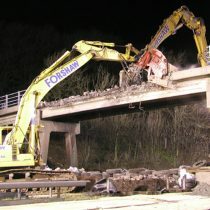 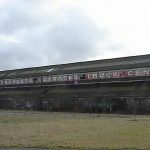 Working closely with AMEC Capital Projects and the Highways Agency we were given two dates to carry out the demolition. 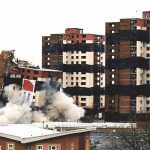 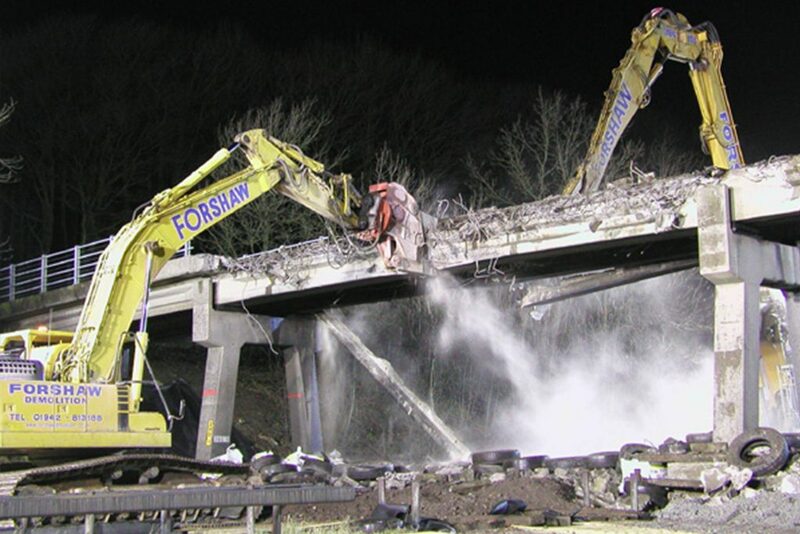 The bridges were constructed from pre-stressed, post-tensioned concrete beams, so the demolition had to follow a pre-designed sequence, which had been specifically designed by a structural engineer. 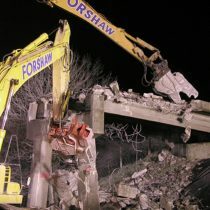 The demolition had to take place on two Saturday night 12-hour possessions and the bridges had to be demolished by mechanical means. 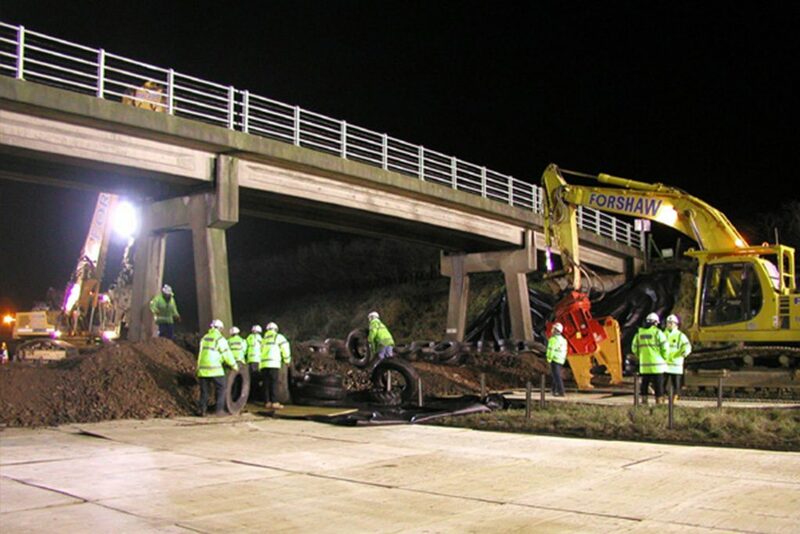 At 8:00pm, the motorway was closed and WFL installed the carriageway protection (above), consisting of a geo-textile membrane, plywood sheeting, a 750mm layer of crushed concrete and hundreds of wagon tyres. 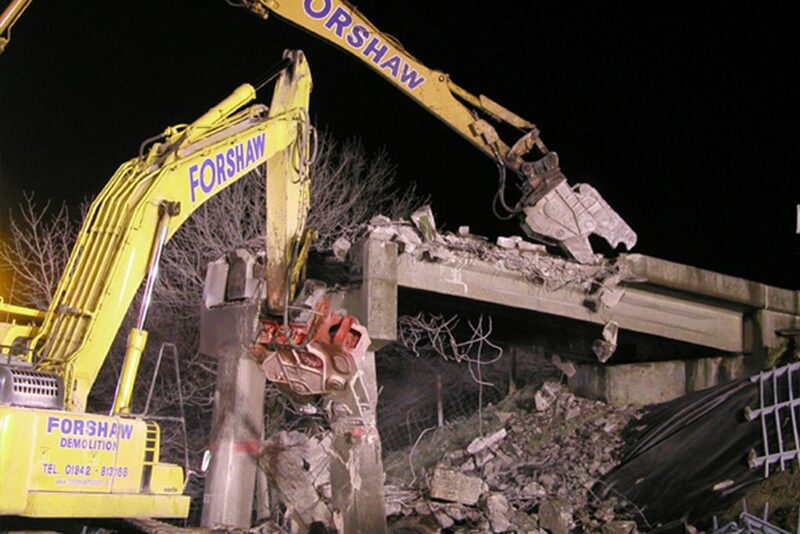 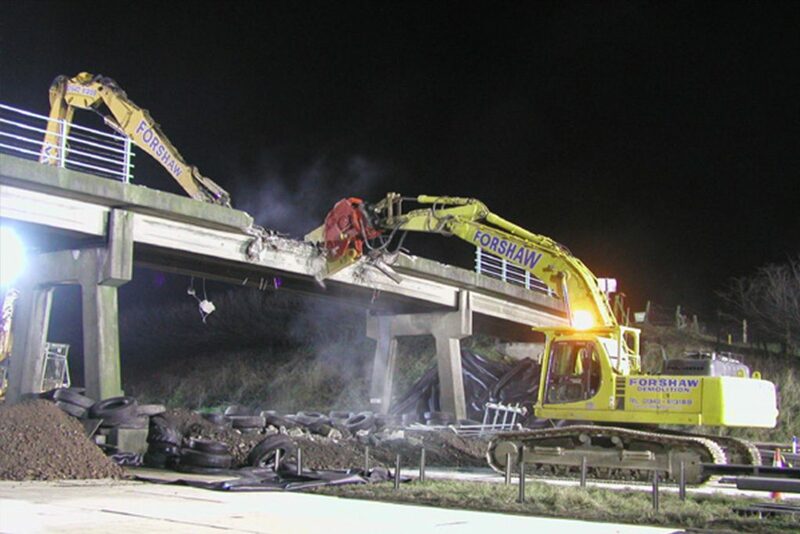 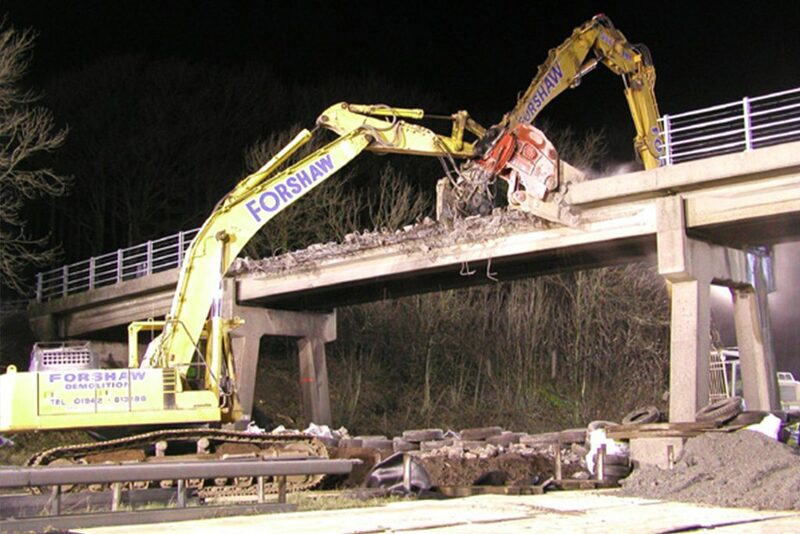 Once the protection was in place, we demolished and cleared away the bridges with the use of four excavators of various sizes, fitted with 360o rotating sheers & concrete pulverisors and a fleet of 15 wagons. 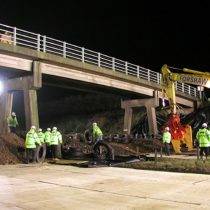 The operation ran smoothly and the motorway was re-opened on time at 8:00am Sunday morning on both occasions.